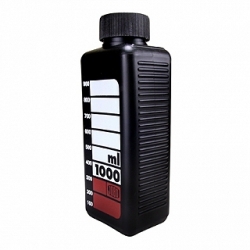 The Jobo Wide Neck Black Bottle - 1000ml is for storing chemicals. These bottles are especially convenient for storing working solution because the large opening makes them easy to fill. 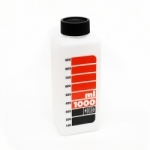 They are made of sturdy plastic that will stand up against nearly all chemicals and the closure is very secure to prevent air from seeping in.